Off the hall also are the drawing room and another reception room, perhaps originally the morning room, where the business of the household would have been conducted. To the right of the hall is the stairwell, with stairs down to the basement, where the generously-sized kitchen and utility spaces are located. These would have been the realm of the household staff. 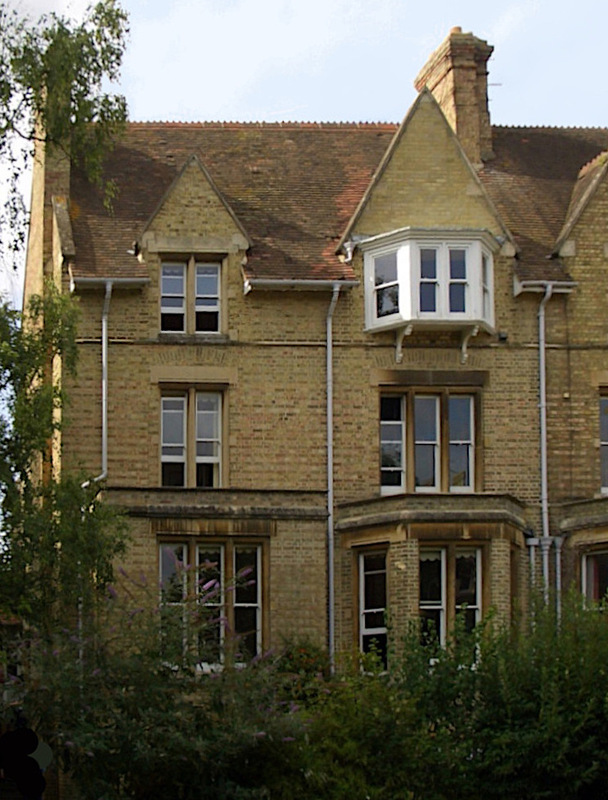 Upstairs are three more floors with further living rooms, including a large lounge, a study or library (a particular requisite in the Oxford area), and the bedrooms and nursery. The house has high ceilings and is amply proportioned by today's standards; most such houses are now split into flats. With their expectations of live-in domestic servants, generally including a cook and a parlourmaid, and all their living space, well-off middle-class Victorians could live in a style to which only the wealthy can now aspire. Flanders, Judith. The Victorian House. London: HarperCollins, 2003. Hinchcliffe, Tanis. North Oxford. London & New Haven: Yale University Press, 1992.